Our recent rainy weather probably has most of us thinking about how to stay dry rather than keep cool. But summer is right around the corner and with that in mind, our newest client, Tejon 34, offered a great presentation last week about how its units were built to help residents beat the heat while being kind to the environment. 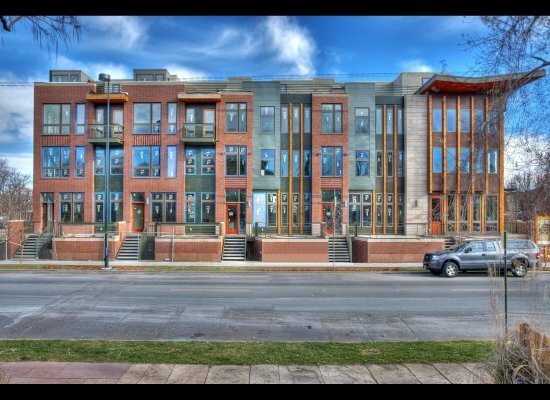 Rather than installing standard air-conditioning, which can be a huge energy hog, Tejon 34 went green with a unique evaporative cooling system from Speakman Cooling. 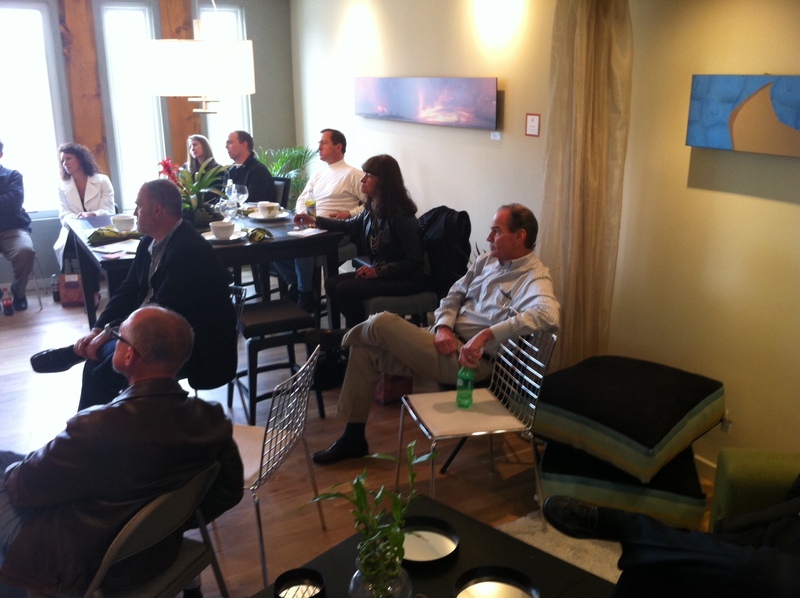 Speakman Cooling Director Russ Waters visited LoHi last week and explained how their system works to local realtors and developers gathered at Tejon 34. (See how transfixed they are)? Speakman’s system can cool within the same range as air conditioning but uses up to 80 percent less energy. And, the system filters more particulates from the air than AC, providing better air quality. Evaporative coolers also don’t contain any chemical coolants, which can deplete the ozone layer. 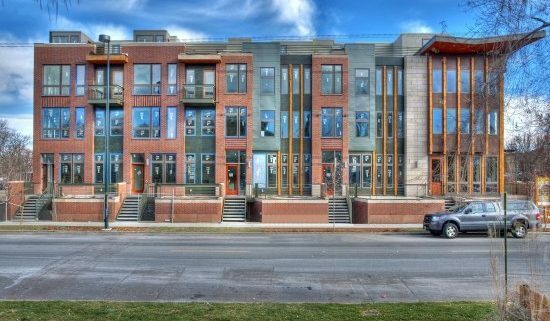 Tejon 34, an Energy Star rated development located at 3400 Tejon Street, is the first multi-unit residential project in Colorado to feature Speakman’s system. The company’s other units have been installed mainly in single-family homes in the area. 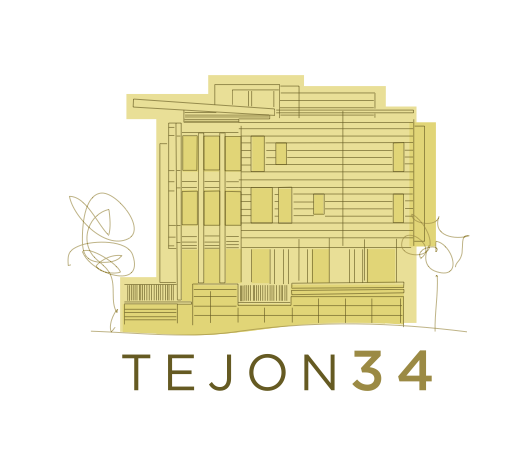 Tejon 34’s innovative cooling system is only one of several green features the project boasts. The units (which range in price form $799,000 to $900,000) offer everything from windows made of recycled glass to a heating system that relies largely on water rather than gas or electricity. To check out all of the project’s great energy-saving elements visit www.tejon34.com.